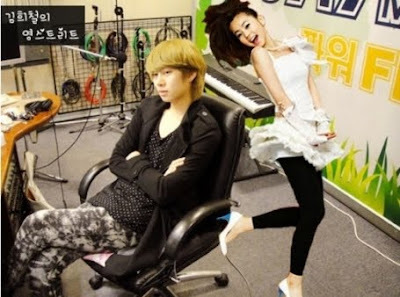 Kim HeeChul has once again expressed interests for WonderGirls SoHee. Already before this, Kim HeeChul had expressed his interests for SoHee on different variety shows like SBS Family Outing and MBC Come To Play. Netizens’ comments are “SoHeeChul is just compatible. It’s good if they date”, “He really only like her as a fan?”, “It seems that he really likes her. Cute” etc.